I have a thing for really nice food art. Every time I see this painting in pictures for The Sims 2, I'm reminded how much I always loved it. 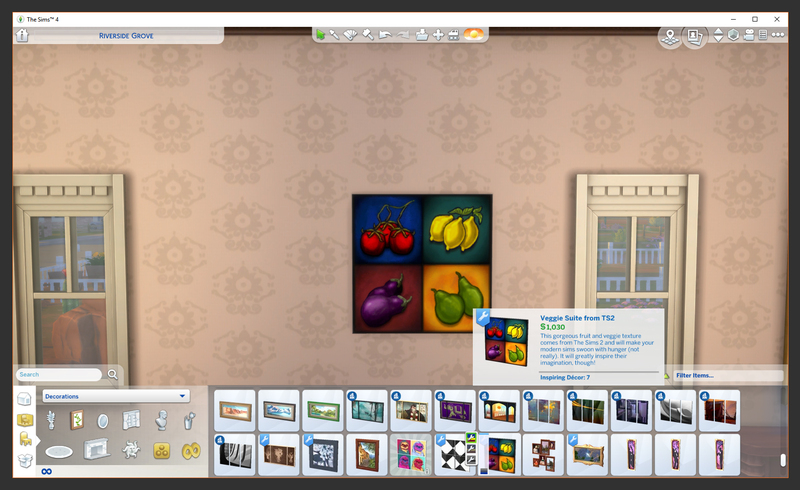 Now, I, and you, have it for The Sims 4! 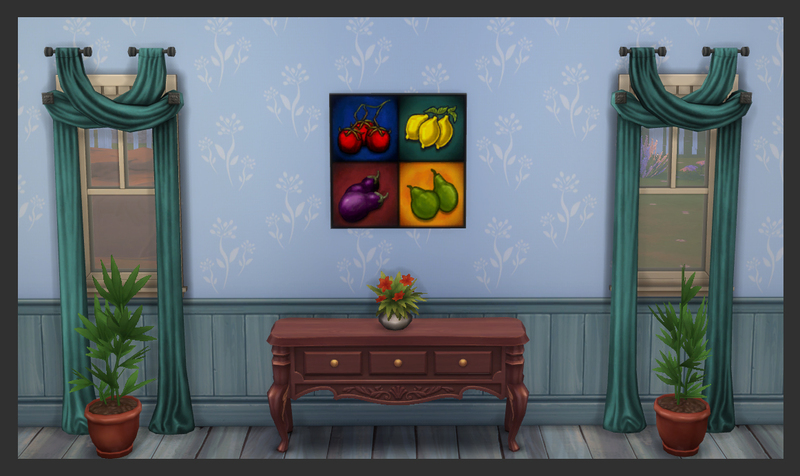 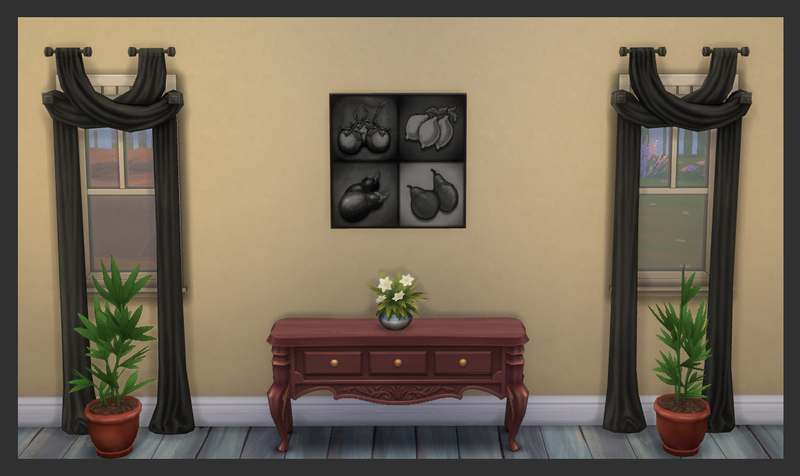 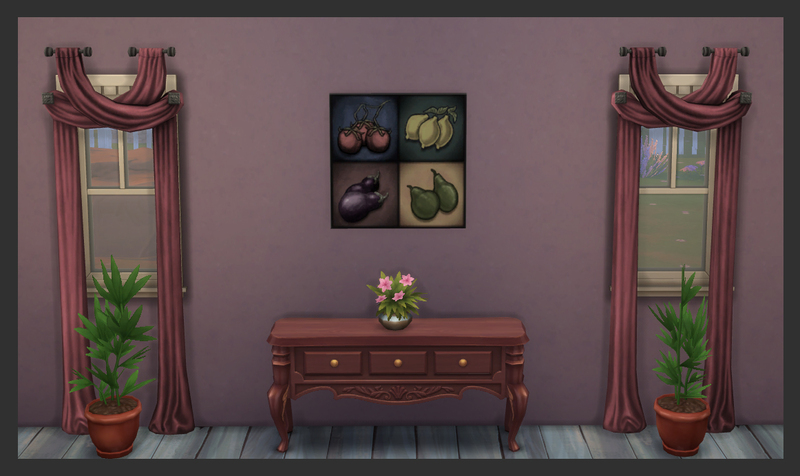 This is cloned from a reward painting from the base game that I renamed, made buyable, and changed the environment value from playful to inspired. 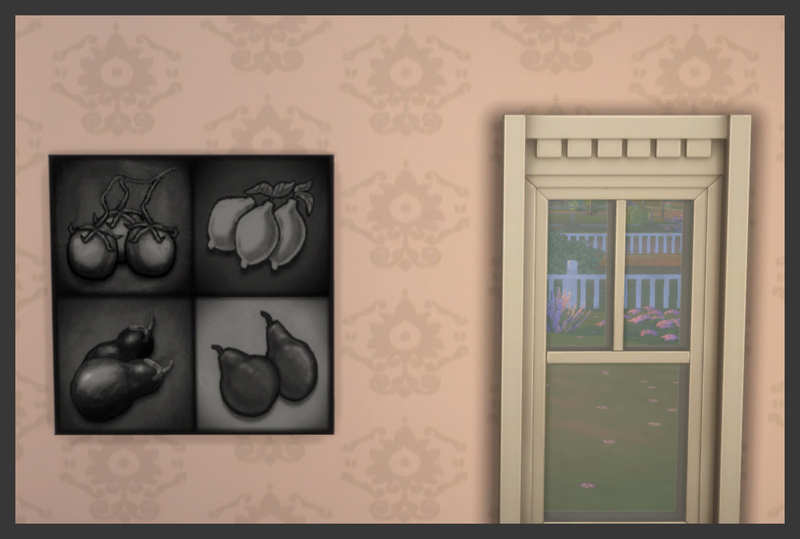 It comes in 3 colours, full colour from the original texture, a vintage-style desaturated colour, and black and white.